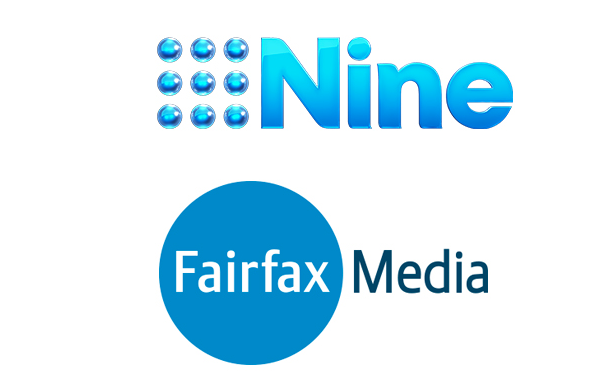 The Australian Competition and Consumer Commission has no objections to the proposed Nine and Fairfax Media merger, it announced this morning. In August, ACCC chairman Rod Sims said the watchdog would conduct a “thorough” review and would draw on insights from the digital platforms inquiry, when deciding on whether or not to approve Nine’s merger – or takeover – of Fairfax Media. A note on the ACCC website said it had no concerns, bringing Nine and Fairfax one step closer to the merger. It said it did not believe the deal would lessen competition in supply of advertising opportunities, nor would it lessen competition in creation and provision of news and non-news content. “This merger can be seen to reduce the number of companies intensely focusing on Australian news from five to four. Post the merger, only Nine-Fairfax, News/Sky, Seven West Media and the ABC/SBS will employ a large number of journalists focussed on news creation and dissemination,” Sims said. “With the growth in online news, however, many other players, albeit smaller, now provide some degree of competitive constraint. These include, for example, The Guardian, The New Daily, Buzzfeed, Crikey and The Daily Mail. “By most measures, a combined Nine-Fairfax will likely become one of the largest online providers of Australian news, alongside News Corp Australia and ahead of the ABC, so this was another area of great focus. We found that while Nine and Fairfax online sites currently did not constrain each other much, other news websites would likely competitively constrain the combined Nine-Fairfax,” he added. The result is despite agitation from the Media, Entertainment and Arts Alliance, which called on the competition watchdog to reject the merger on the basis it “contravenes the Australian Competition and Consumer Law”. At the time, the MEAA claimed more than 1,110 submissions had been made to the investigation portal. The ACCC’s decision is the first of a number of steps for Fairfax Media and Nine, before the merger can go ahead. Nine and Fairfax are still waiting on shareholder approval, which will be decided on November 19. Should the Fairfax shareholder vote go in favour of the merger and court approval, the merger will be completed by December 7, which first day of operating as a joint business on December 10. Hugh Marks, CEO of Nine, welcomed the ACCC decision to not oppose the merger. “It is clear to us the ACCC were thorough in their considerations of the many submissions they received and we welcome this rigorous process, as this is first merger to take advantage of the government’s media law reforms. It is a clear acknowledgement of the changing competitive landscape in our industry, where the ability to compete across a variety of platforms and to engage different audiences is key,” Marks said. Nine first announced the news of the proposed merger on the Today Show on July 26. At the time, it told the viewers the deal would conclude by the end of 2018. It is the biggest proposal to come out of the media reforms – which include the repeal of the two out of three and 75% media ownership rules, since they were passed late last year. Under the proposal, Nine will own 51.1% of the combined entity, while Fairfax shareholders will own the remaining the 48.9%. The Fairfax Media brand will absorb under the new terms, and the new business – known as Nine – will make up 20% of above the line advertising spend across Australia. The combined business will include Nine’s free to air network, digital businesses Domain, 9Now, its joint venture with Fairfax Media – Stan – as well as Fairfax’s mastheads, which includes The Sydney Morning Herald, The Age and The Australian Financial Review. It will also include Fairfax Media’s 54.5% holding in Macquarie Media. Nine CEO Hugh Marks – who will be CEO of the new combined entity following approval – has repeatedly given Fairfax assurances around newsroom resourcing, product continuation and editorial independence. He has previously said the editorial independence of Fairfax publications would continue. Current CEO of Fairfax Media, Greg Hywood, also said the two newsrooms would not combine under the merger. As of yesterday, Fairfax Media’s market capitalisation sits at $1.44b, while Nine’s is at $1.46b. At close of business on the day of the initial announcement, Nine finished with a market capitalisation of $2.20b while Fairfax Media finished with a capitalisation of $1.77b. Rod Sims doesn’t watch Media Watch, does he?